Histories of sculpture within the Nordic region are under-studied and the region s influence upon and translation of influences from elsewhere in Europe remain insufficiently traced. This volume brings to light individual histories of sculptural mobility from the early modern period onwards. Examining the movement of sculptures, sculptors, practices, skills, styles and motifs across borders, through studios and public architectures, within popular and print culture and via texts, the essays collected here consider the extent to which the sculptural artwork is changed by its physical movement and its transfigurations in other media. How does the meaning and form of these objects performatively respond to the pressure of their relocations and rematerialisations? Conversely, how do sculptures impact their new contexts of display? The contributing authors engage with a wide variety of objects and media in their essays. Each focuses on the contextualisation of sculpture in an original and timely way, exploring how mobility acts as a filter offering new perspectives on iconography, memorialisation, collecting, iconoclasm and exhibiting. 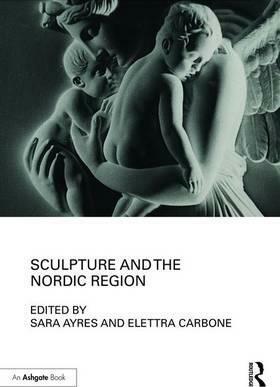 From the stave churches of early Norway to the decoration of International Style monoliths of the twentieth century, from Italian quarries to Baroque palaces, from fountains to figurines, from text to performance, these wide-ranging and fascinating case studies contribute to the rich history of the Nordic region s sculptural production."